No. 53 makes me, frankly, confused. Sierra Nevada has no trouble producing aromatic, "floral" beers: Pale Ale was one of the first "hoppy" beers I ever had as a young rabbler, Torpedo is no slouch, and Hoptimum is a hop-mofo. 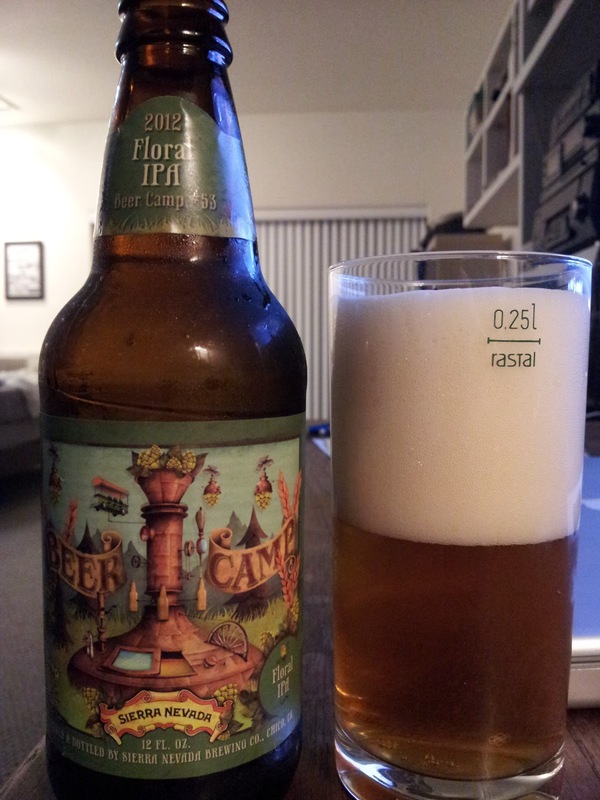 So what's with the "Beer Camp" schtick? Seems to me the point of most "camps" is to provide experience to the inexperienced. Or let young ladies experiment with flutes. Is Sierra inexperienced at using hops? Hell no. It should be clear I have no idea why this was released. I have no answers. I'm frightened, and confused. Hello? Hello. This brings me to a point we need to seriously start considering: Has Alpine Beer Co. completely destroyed my hop-tasting abilities? Am I unable to enjoy credible hop-fferings (hop offerings)? Time will tell. Try some gruits, then go back to hopped beers. It's like hitting the pool after the jacuzzi.